Terra. . HD Wallpaper and background images in the Teen Titans club tagged: teen titans terra. This Teen Titans wallpaper contains anime, fumetti, manga, and cartoni animati. In my opinion, I much prefer her working with Deathstroke. 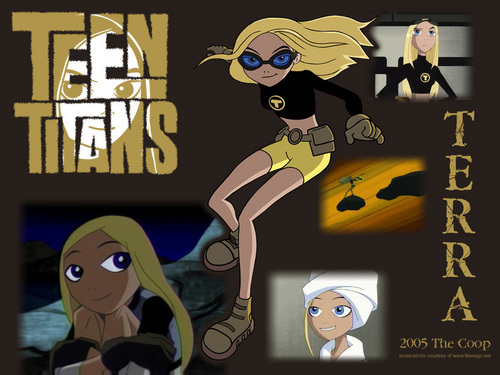 I admit I never did like her working with the Teen Titans.